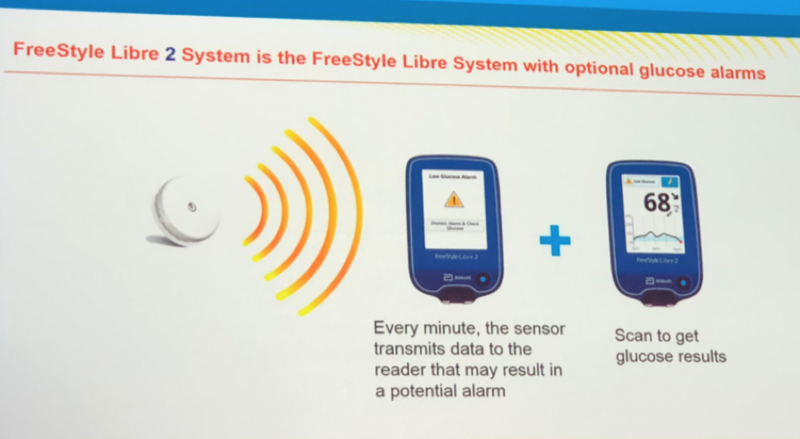 The Libre 2 will first launch in Germany – at the same price as FreeStyle Libre! – followed by other European countries in the coming months. Abbott plans to eventually seek approval from the FDA. Compared to the FreeStyle Libre 14-day-wear sensor accuracy in the US, the FreeStyle Libre 2 is almost identical. 90.6% of the readings were within 20 mg/dl of the “true” value for levels below 80 mg/dl, and 90.3% of the readings were within 20% for levels above 80 mg/dl. The main difference is an improvement in MARD (average of how far the readings are from the true value) – now 9% – suggesting that the number of big outliers has been reduced. HARMONY-outcomes looked primarily at the effects of Tanzeum (albiglutide), a discontinued GLP-1 agonist for people with type 2 diabetes, on the heart. For a median of 1.5 years, the study followed people with type 2 and established heart disease. Compared to placebo (a “nothing” pill), Tanzeum demonstrated a 22% relative risk reduction for heart-related death, heart attack, and stroke combined. This risk reduction was primarily driven by a lower number of heart attacks. Perhaps the most extraordinary aspect of this news is that Tanzeum showed heart benefits despite lackluster performance in lowering A1C and weight (the reasons why this drug was discontinued in 2017). While HARMONY further supports the idea that GLP-1 therapies in general are beneficial for heart health – Victoza and Ozempic have both shown heart benefits – the results suggest that small molecular differences may impact heart health outcomes. Another potential explanation is differences in study design and participants (for instance, how sick they are and how long the trial is). For a deeper dive into GLP-1 agonists, click here. We await news of the future of GSK’s Tanzeum. For now, it is uncertain, and as the press release said GSK hopes to "continue to explore opportunities to divest this medicine to a company with the right expertise and resources to realise its full potential for patients." Big picture, what we’d most like to see is greater use of GLP-1 among more patients and earlier in disease progression. Stay tuned on the future progress of Tanzeum! Dr. Richard Bergenstal (International Diabetes Center) offered new data emphasizing the importance of time-in-range and other outcomes beyond A1C. A just-published study in Diabetes Care showed a significant relationship between time-in-range and diabetes-related eye disease even after considering factors like A1C, age, diabetes duration, and more. It’s worth noting, however, that this study only recorded 24 hours of CGM data and that participants were on a specific diet. This study joins others in supporting the suggestion that time-in-range is a relevant measurement when making treatment decisions and goals. For more background on the Beyond A1C movement, click here. We were also honored when Dr. Bergenstal featured Senior Editor Adam Brown in his presentation by playing a clip from the newly released audio book version of Bright Spots & Landmines. If you haven’t already, explore the free audiobook here. Imeglimin: This new therapy blocks oxidative phosphorylation, but it is unclear exactly how blocking an essential metabolic energy-producing pathway can help lower A1C. 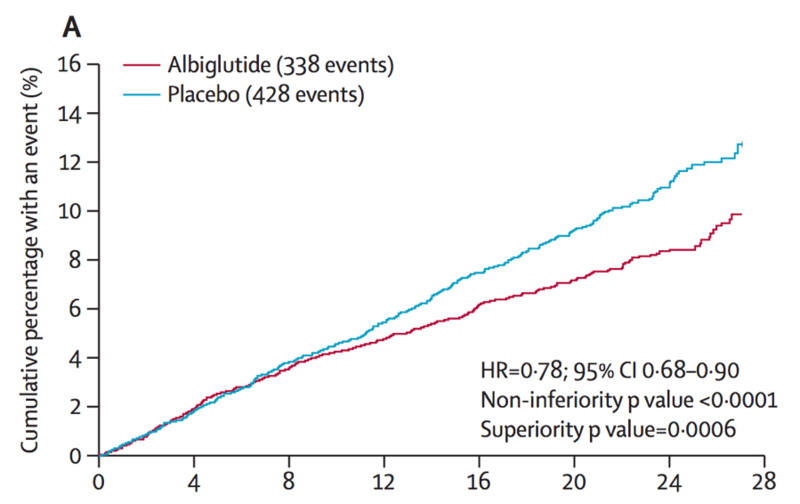 At a high dose, a phase 2 trial observed an A1c reduction of about 1.0% after 24 weeks. Larger phase 3 trials are starting in both the US and the EU, and this treatment may hold particular promise for people with lower kidney function. TTP399: Compared to Januvia, TTP399 showed similar A1C lowering but with an added benefit of weight loss in type 2 patients. This developing therapy works by increasing the activity of glucokinase in the liver, promoting the breakdown of glucose. While vTv has not further pursued this drug in type 2 diabetes, JDRF has sponsored a study into its use in type 1; these phase 1/2 results are expected early 2019. Cell-based therapies: These have been predominantly developed for type 1 patients, and three initiatives aimed at replacing insulin-producing cells made it into Dr. Buse’s presentation. ViaCyte’s PEC-Encap, DRI BioHub, and CLBS03 therapy are all promising treatments worth following. In addition to the US, the Dexcom G6 CGM is now available in Germany, the United Kingdom, Austria, and Switzerland. Read diaTribe’s test drive of the G6 here. While it’s likely that the people in this data set were early adopters of the new technology and therefore not necessarily a representative population, the incremental improvements are still encouraging. As we await regulatory decisions on whether SGLT-2 inhibitors (Jardiance, Farxiga, Zynquista) will be approved for people with type 1, Dr. Julio Rosenstock (Dallas Diabetes Research Center) provided timely and important commentary on the need for a heart-outcomes study. He reminded the audience that type 1 patients are also at higher risk for heart disease and that the excitement around SGLT-2s on helping type 2 patients and those with heart disease should be extended to questioning if these benefits exist for type 1s. 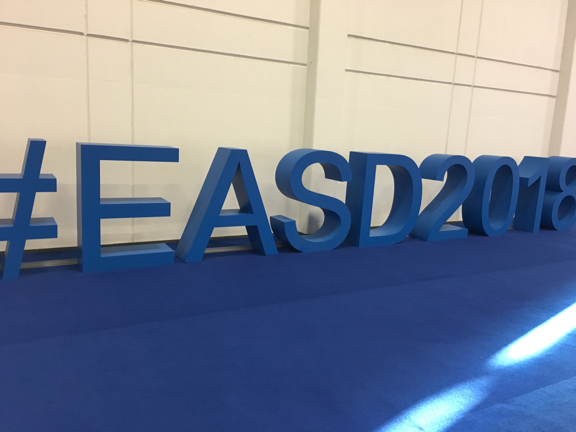 At ADA, Dr. Anne Peters said that the heart-health benefit is one reason many of her type 1 patients want to take an SGLT-2, even though it has not been approved for people with type 1. For more information on SGLT-2 use in type 1, click here.